Just in case you were wondering what it is that I think is so wonderful – a 'corker'* in fact - it's not what most people think of. Not for me the worship of a tall, willowy, dewy-skinned blond stalking down a cat walk. My 'corker' has terrible skin and doesn't move far from the Alentejo. It's the tree the Portuguese call the sobreiro, whose Latin name is quercus suber; the one that we call the cork oak. And it really is a fantastic 'corker'. To find out why, please click here. In the picture you can see men stripping nine-year old bark from the trees. This would kill almost any tree but the cork oak fights back. It just stands firm and grows another knobbly skin. How's that for resilience? Once it was the back-bone of the the wine industry but now plastic corks and screw-topped bottles are taking over. But like the cork oak, the Portuguese are fighting back. 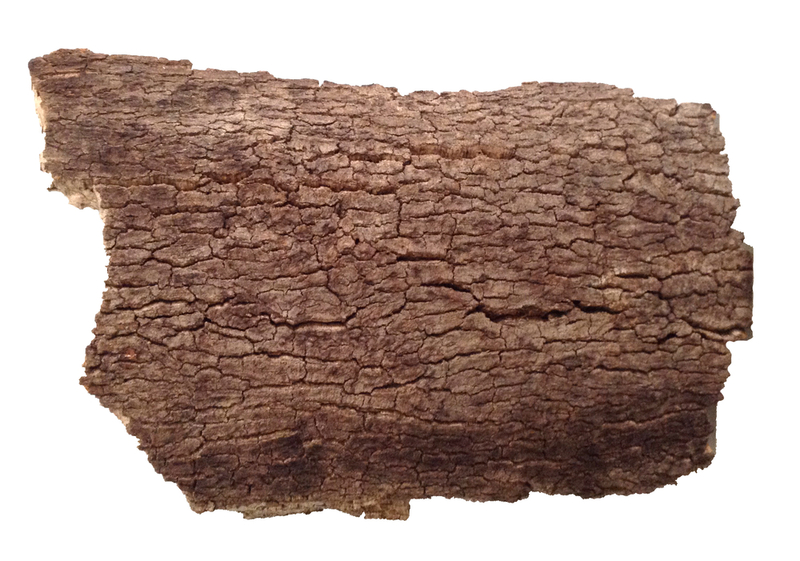 The bark of a cork oak. This is raw cork. It doesn't look a very promising material, does it? Yet it has been known and used for thousands of years. The ancient Greeks used it as stoppers and floatation devices and it is as a stopper that it is best known today. Who hasn't seen fine wine and champagne bottles closed with a cork? For a while, however, cork stoppers have been in competition with plastic and screw-tops, and though improved quality has made some wine producers switch back to corks for their bottles – after all it's so much more romantic to uncork your birthday wine than to unscrew it, isn't it? – the convenience of screw tops has dented production. What to do? Well the answer is clearly to find new uses for cork. 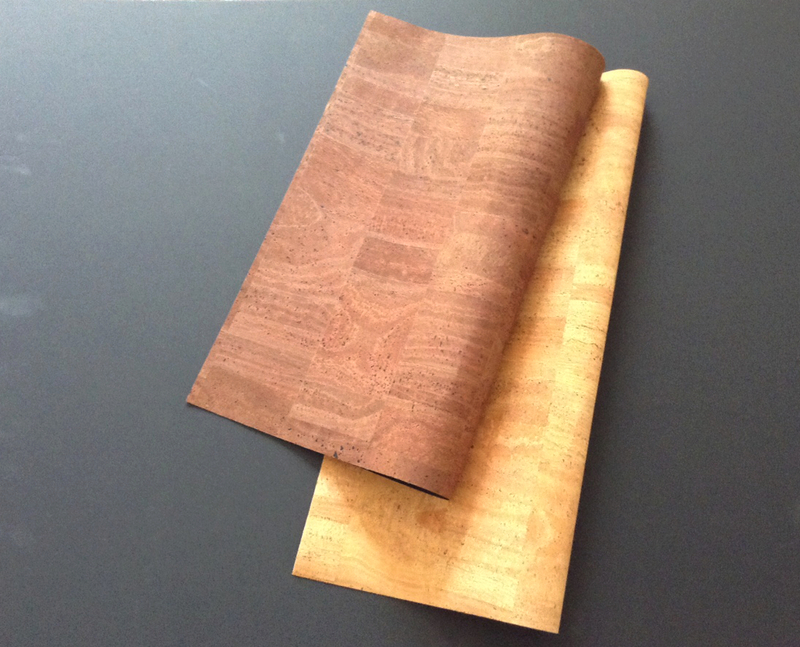 As well as important secondary exports such as flooring, wall covering and insulation, researchers have come up with cork leather/cork fabric. This thin laminate, which is tough yet flexible, has been put to endless uses, some you would never imagine. Let's have a look at some. What do you think of this lovely and unusual handbag or this sports bag for example? Incidentally the handbag displays the Viana heart, which is often found in filigree jewellery. So, you are perhaps thinking, "Handbags are pretty ordinary. What would I probably never think of as a use for cork?" Well, of course it depends on your imagination, but what about motor cycle helmets and golf bags? Or jewellery? Not many people would imagine using cork to adorn themselves and yet look at these necklaces. If you like making a statement, what about these? Perhaps you are not looking for a treat for yourself but a present for an energetic boy. 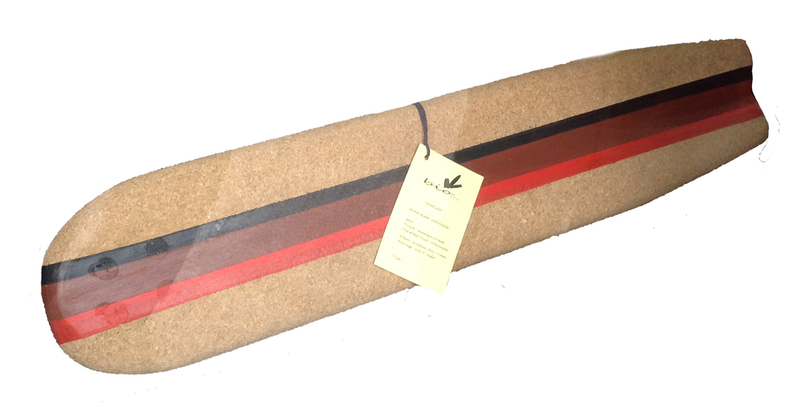 What about a cork skateboard? There is so much that you can find these days with a cork component. 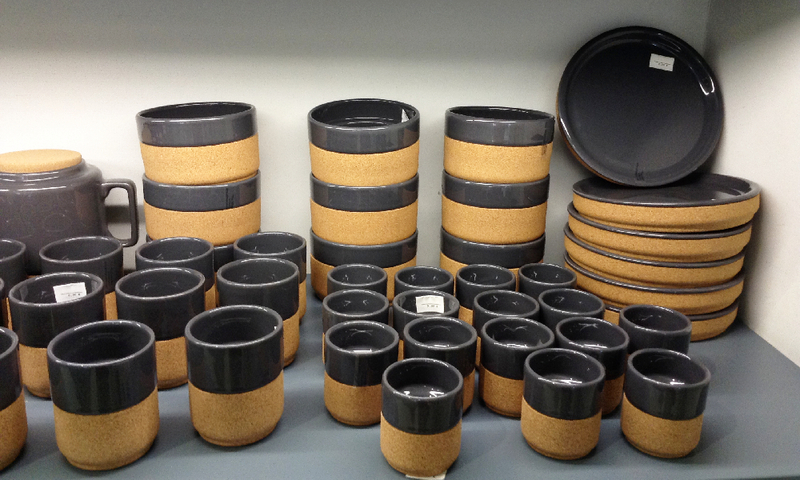 One of my favourites is cork crockery. There are cups, plates, bowls and serving dishes. The cups don't need handles because cork is a good insulator; not only this, your tea will keep warm or your cold drink will keep cool for longer than in a standard china cup or glass. You can move a casserole dish from the oven to the table by putting it into its holder and feel confident that the table will not be spoiled. Here is an elegant set of grey crockery with light brown cork. The same set can be found in white, blue, yellow and purple. What else is there? There are sofas and chairs, aprons and hats, umbrellas... so many things that I can't remember them all.